Britain's War House was "Engaging"
Blenheim Palace: Great War House aired on ITV, presenting the effect World War 1 had on people living there. It was engaging and historically accurate. 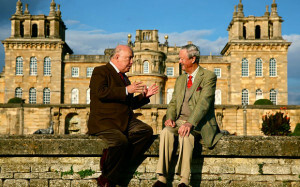 Julian Fellowes did an excellent job as he is very familiar with the material. Fellowes is also behind Downton Abbey, a fictional representation of these same historic events. There are many British people who were deeply scarred by the tragedies of war and this documentary helps explain to those who were not how horrible it was. 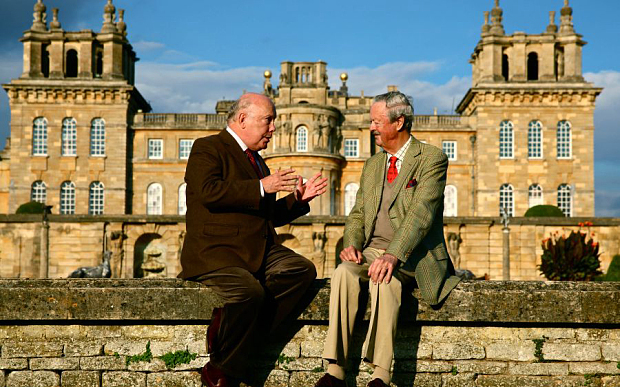 In a perfect marriage of man and matter Julian Fellowes presented an ITV documentary on Blenheim (Blenheim Palace: Great War House) and how the people who lived and worked there were transformed by the vicissitudes of World War One. Fellowes has already analysed what happens to a big house when global war gets involved in his lesser-known drama series Downton Abbey. And here, in the presence of historical truth rather than fiction, he seemed as much if not more in his element. As the camera panned over Vanbrugh’s chimney tops to the sound of wistful chords in the opening seconds you could have been forgiven for believing you were watching a rerun of Brideshead Revisited. Fellowes’s refined tones did nothing to dispel the illusion (who else says Edw-ah-dian?). But he had a meaty topic to get his teeth into and he did so with an elegant turn of phrase and an engaging strain of compassion. Blenheim, like so many other stately homes, was transformed by the war. Fellowes detailed the practical changes: the use of its library as a hospital for instance. But his main approach was to take three men who lived on the estate, drawn from each of the social classes, and tell what happened to them in the war. Blenheim Palace: Great War House brought back the memories of world war to those who went through war themselves, and gave a glimpse of the terror of war to those who have never experienced it. Fellowes did a wonderful job of presenting as he was thoroughly familiar with the material. ITV one again put a masterful work together of which Britain can be proud.